Second Thursday of each month, 7:00 P.M. in the Lincoln High School Board Room. Monday before regular meeting, 7:00 PM. in the Lincoln High School Board Room. The visitor will be asked to identify himself or herself. They will then give comment to an agenda item only. The Board President will be the only person to respond to a visitor to clarify the comment for possible further Board discussion. While it is important to let the public be heard, it is important that governmental meetings be run in an orderly and parliamentary manner. 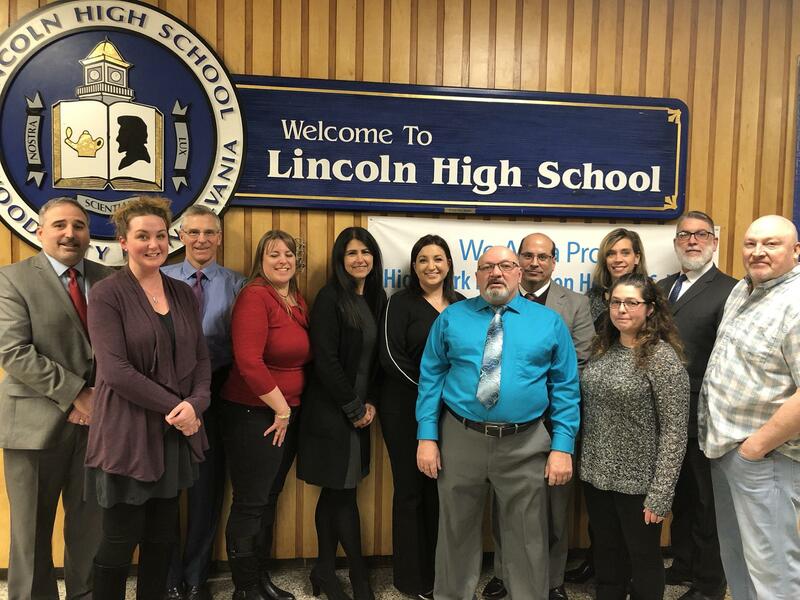 The Board of School Directors, as the agent responsible for the education of the children of the Ellwood City Area School District directs the development of a planned program of learning which meets the needs of the students in the district. We believe that the school is a primary social agency that together with church, home, and community bears the responsibility for preparing children to live in a constantly changing world. In order for the school to successfully fulfill its role in the preparation process, it must be cognizant of both present and future needs. The instructional program must consider each child as an individual regarding his/her rate of learning, pattern of growth, and degree of emotional maturity. Since the school is preparing youth for present and future roles, all experiences must be meaningful and relevant to life in the local community as well as to the community at large. We believe that an effective education is rooted in a strong basic skills program which will provide each student with a mastery in the use of words and numbers to the fullest of his/her capabilities. To further aid the child in adjusting to a variety or situations, the instructional program shall employ the process of thinking, of reasoning, and problem solving. The utilization of these processes is designed and aimed toward providing the student with the skills necessary to make decisions based on practical alternatives. In fulfilling its role as a primary social agency, the school must encourage the formation of attitudes which foster a deep and genuine sense of pride in the home, community, state, and nation. The school must also aid a child in developing a self-awareness so that he/she may objectively understand his/her areas of strength and limitation. Through the achievement of self-awareness and the accompanying understanding, the child can better understand and have empathy for people of different faiths, races, and beliefs. We believe that schools should foster an attitude of self-discipline whereby privileges are enjoyed and responsibility for behavior is accepted. We believe that schools should help every child acquire good health habits and an understanding of the conditions necessary for the maintaining of physical and emotional well being. The school board of directors is a legislative body that establishes the direction of education in the Ellwood City Area School District. Board members are charged with adopting an annual budget, establishing local tax rates and hiring all personnel. You elect nine board members for unpaid, four-year terms. They must answer to the PA Dept. of Education. The board elects a president and vice president every year during its December reorganization meeting. Newly elected members also take office during this meeting and a calendar of monthly meeting dates is established. It is the responsibility of the superintendent of schools to carry out board policies and to be responsible for executing the board’s defined educational objectives for our students. Parents and area residents are invited to attend all monthly board meetings. Notice of the meetings is published in the Ellwood City Ledger.